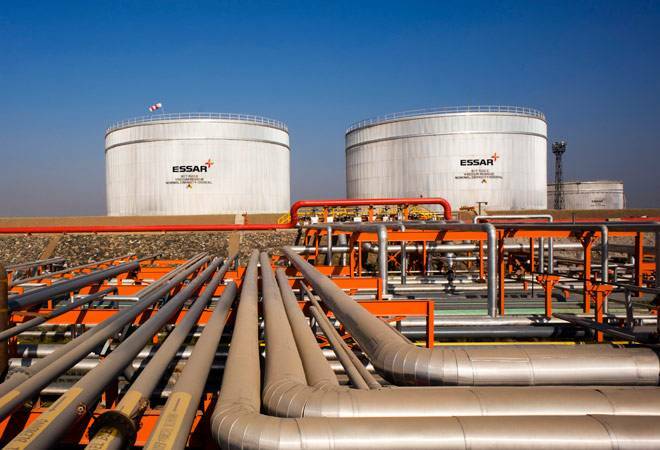 Essar group recently completed sale of its refinery at Vadinar, Gujarat and the associated assets like port and retail outlets across the country to the Russian oil company Rosneft after one-year-long negotiations. After the sale of Essar Oil's India assets to Russian giant Rosneft-led consortium, the Ruias plan to enhance the throughput of their Stanlow Refinery in the United Kingdom, investing $250 million. Essar Oil (UK), which owns and operates the refinery, looks to increase the annual throughput to 75 million barrels from 68 million. The company has invested over $550 million in the refinery since its acquisition from Shell in July 2011. The group recently completed sale of its Indian refinery at Vadinar in Gujarat and the associated assets like port and retail outlets across the country to the Russian company after one-year-long negotiations. The sale at $12.9 billion was eventually for reducing the debt burden of the group, which stood at Rs 1.38 lakh crore. The group is also fighting its case at NCLT for regaining control of the debt-ridden Essar Steel after the banks opened insolvency proceedings against it. Essar Group has signed a three-year non-compete agreement with Rosneft-led consortium while selling its refinery business. After the sale, the group is left with only a few exploration and production (E&P) assets in India's oil business. That is the reason why the Ruias are looking to enhance its operations in the UK. Also, the group targets to generate a revenue of $15 billion by 2018. They can achieve it only by enhancing the business in the UK business and regaining the control of steel business. Essar Oil (UK) has a net worth of $981 million. Prashant Ruia, chairman of Essar Oil (UK), said in a press release: "The major investment we have confirmed in Stanlow will materially increase throughput and further grow revenues, building on the tremendous progress we have made in turning around the business over the past six years. It also demonstrates Essar's commitment to remain invested in the oil and gas sector." Essar Oil (UK) generated a revenue of $4.9 billion in the last financial year ending March 2017, down by 1.3 per cent. The profit fell by 31 per cent to $168 million. The refinery has 16 per cent market share in the UK. "Although we saw a marked $2.1 a barrel decrease in the wider industry benchmark margin, our excellent operational reliability and ongoing margin booster projects saw our own margins reduce by less than half this amount..." said S. Thangapandian, CEO of the company. In FY15 Essar reconfigured and optimised Stanlow to a single train operation which increased the yield of high margin products such as gasoline and middle distillates, while the crude slate has been materially diversified with the introduction of 37 new grades. In the fourth quarter, the EBITDA has increased to $86 million, compared to $55 million in the same period last year. Essar is a major player in the wholesale supply of Jet A-1 to UK airports. In addition, it also supplies aviation fuel to major airlines such as Emirates, Etihad, Jet2.com and Oman Air. It has a retail network of 36 stations in the country. Essar Oil UK has established working capital facilities and no long-term debt, the company claimed.